Konami Digital Entertainment B.V. has today announced that PES 2019 will feature seven new fully licensed leagues, with seven confirmed and two more to be announced at a later date. This announcement is part of KONAMI’s ongoing commitment to increase the number of licenses within the PES series. The confirmed seven new authentic leagues available in PES 2019 include: Danish Superliga, Portugal’s Liga NOS, Belgium Pro League, Swiss Super League, Scotland’s Ladbrokes Premiership, Superliga Argentine, and exclusive to PES 2019, the Russian Premier Liga. All teams within the leagues will be fully licensed in PES 2019 as well. 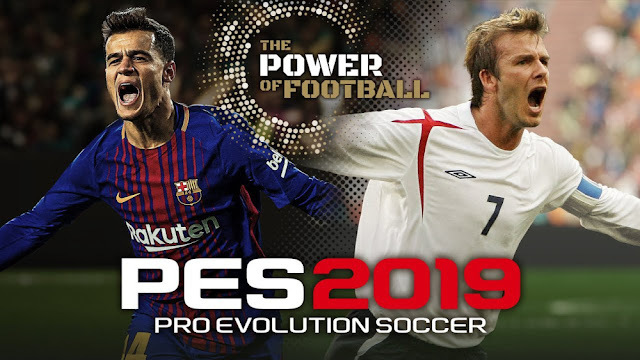 KONAMI is especially thrilled to have signed the rights for the Russian Premier Liga exclusively, making PES 2019 the only football game on the market where fans can have access to the entire league featuring top clubs such as CSKA Moscow, Zenit St Petersburg and Spartak Moscow. With the latest PES instalment being made available on 4K HDR across all platforms as well as the use of ‘Enlighten’ software for true-to-life visual effects and real time ‘Global Illumination’ lighting and shadows, PES 2019 will offer fans improved in-game graphics. This means better crowd detail, real grass textures and the return of the incredibly popular snow weather effect making those matches in Moscow even more realistic! PES 2019 will be available on PlayStation®4, Xbox One™ and PC via Steam on August 28th in the Americas and August 30th globally. PES 2019 will be available in two physical editions, with new global ambassador Phillippe Coutinho on the front cover of the standard edition and David Beckham on a special edition which gives fans the opportunity to unlock myClub bonuses. Also available at launch will be a digital-only Legend edition that will include even more content for myClub!